The Northeast is all set to get India's first-ever air dispensary in a helicopter. The Union Ministry of Development of Northeast (DONER) has already contributed Rs 25 crore as part of the initial funding for this initiative, he said at a meeting in New Delhi yesterday. New Delhi: The Northeast will soon get a helicopter-based air dispensary, the first of its kind, to serve the people in remote areas in the region, Union minister Jitendra Singh has said. Representatives of the aviation sector and helicopter service Pawan Hans were among those who attended the meeting. For a few months, the DoNER Ministry explored the idea of introducing a helicopter-based dispensary/OPD service in far flung areas, where no doctor or medical facility is available and the patient does not have access to medical care, the minister said. The proposal put forward by the Ministry of DoNER has been accepted and is in the final stages of the process in the ministry of civil aviation, a statement said. Mr Singh said his ministry was keenly pursuing the proposal so that it could be the central government's gift to the people of the Northeast by the beginning of 2018. The service being introduced in the Northeast can also be emulated in other hill states having difficult topography, such as Jammu and Kashmir and Himachal Pradesh, he said. According to the plan, helicopters will be based at two locations - Imphal and Shillong, which have premier postgraduate medical institutes from where doctors, along with equipment and paramedical staff, would be able to fly over eight states in the region. On its way back, the same helicopter can also carry a sick patient to a city hospital, he said. 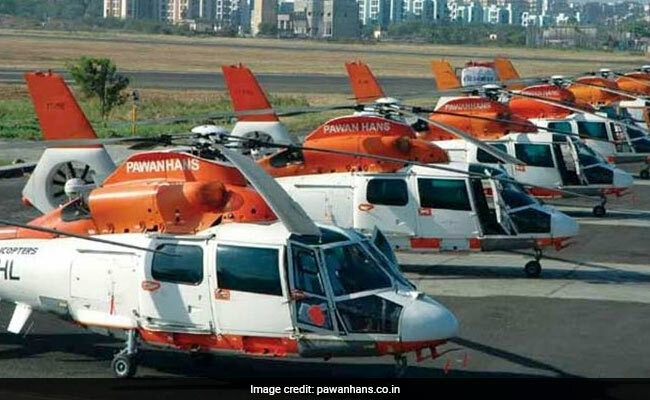 The minister said three twin-engine helicopters are proposed to be stationed for the initial operation on six routes in the region around Imphal, Guwahati and Dibrugarh.